Neal Merrick Blackwood is thirty-five-year veteran in the music industry, and comes from a family of well-known musicians – the gospel, country music supergroup The Blackwoods. He is a multi-instrumentalist, recording artist, acclaimed sound engineer and producer. 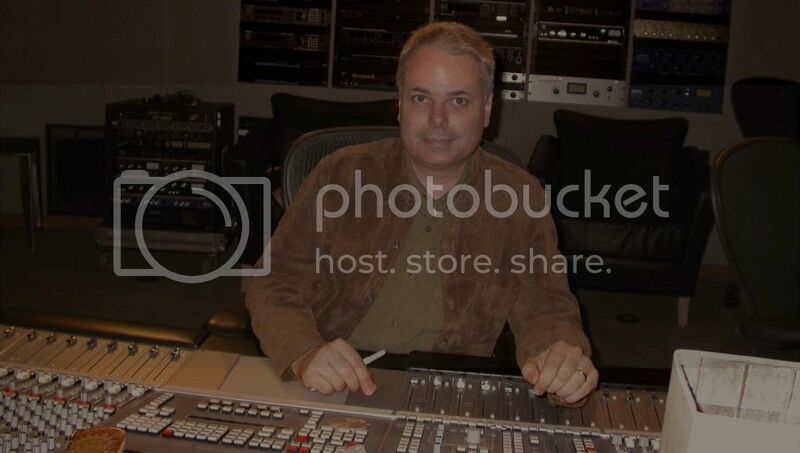 He spent many years in Nashville working with Grammy award-winning production teams and monikers in world-renowned recording studio facilities and concert venues. The artists Neal has worked with include Alison Krauss, Ben Folds, Willie Nelson, and a long list of household words in the mainstream catalogs of major record labels (Universal, Warner, Sony, Capital, RCA, Decca, Rounder, etc). He also composes/produces music for film in his state-of-the-art recording facility, high in the Blue Ridge Mountains of Asheville, NC. We discovered Neal in 2015 when he invited Richard to visit him at his private studio, and they were both surprised to learn that they lived just down the road from each other. Richard hired Neal to master the 2017 AO Music album “Asha”. “There’s no one I’ve met with studio ears like Neal…” “Mastering is an art, and he did an amazing job, with wonderful attention to detail…” Richard also asked Neal to write and perform an ambient section for “Though We Are Here Now” (track 9) on the album “Asha”. Neal is in high demand with his many talents, and specializes in composing/producing music for healing. Learn more about Neal Merrick Blackwood here.